This article challenges the binary framework within which women in Pakistan have been viewed, by political actors, the state, and more broadly as well, as either ‘secular/feminist/godless/westernized’ or ‘authentic/Islamic/traditional’. It begins by contextualizing the geneology of this binary in Pakistan’s colonial and political history, which has led to the state’s side-lining of moderate religious voices and promotion of right-wing religious parties that suited its political objectives. Even the scholarship produced by the women’s movement, which arose in response to a politicized Islamization process begun under military rule in the 1980s, inadvertently reproduces this binary as activists sought to assert a rights-based agenda and were supported by international donor funds. A shift in recent years in response to west-based international scholarship post 9/11, which focusses on the subjectivity and organization of Islamist women, has influenced work on women in Pakistan as well as a donor turn to funding faith-based initiatives. The paper then examines current gender justice movements that emerged independently at a grass-roots level, and draws attention to their effectiveness despite lack of strong linkages with either the women’s movement or Islamist women. These include rights-based mobilizations by peasant women, community health workers, tribal women in the Taliban/conflict-affected north-west, and transgender activism. 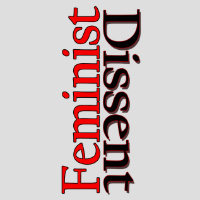 It ends by challenging feminists to engage more deeply with these forms of activism. Ayesha Khan is with the Collective for Social Science Research in Karachi. She works on gender and development, social policy, refugee and conflict issues. Currently she is researching women’s collective action to increase their political voice in Pakistan. She has published in Feminist Economics, International Feminist Journal of Politics and Reproductive Health Matters; her upcoming book is The Women’s Movement in Pakistan: Activism, Islam and Democracy (I.B. Tauris). Dr. Nida Kirmani is Associate Professor of Sociology in the Mushtaq Ahmad Gurmani School of Humanities and Social Sciences at the Lahore University of Management Sciences. She is also Faculty Director of the Saida Waheed Gender Initiative. Nida has published widely on issues related to gender, Islam, women’s movements, development and urban studies in India and Pakistan. Her book, Questioning ‘the Muslim Woman’: Identity and Insecurity in an Urban Indian Locality, was published in 2013 by Routledge. Her current research focuses on urban violence, gender and insecurity in the area of Lyari in Karachi.